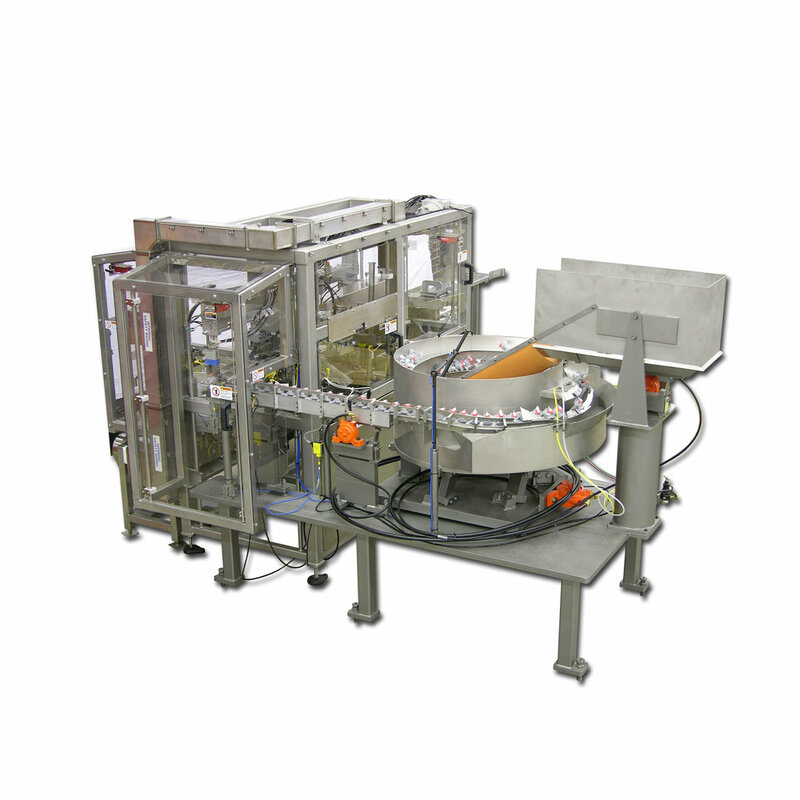 Filling equipment is the key component in a high volume bag-in-box packaging line. ABCO clients select ABCO semi-automatic fillers to ensure that filling is not the weak link in their supply chain. Our systems are designed to accommodate expected variations in the bags and fittings without jamming or stopping. ABCO semi-automatic fillers are also designed for longevity and reliability. As a result, we do very little business in spare parts sales for our fillers. ABCO designed its semi-automatic filler, Model SH-240F, to allow an operator to manually load and fill Bag-in-Box bags, one at a time. Before filling bags, the operator sets a counter valve which corresponds to the desired product volume and bag size. A turbine-style flow meter monitors product flow from the supply pump and provides input to the counter. Fill accuracy is based on combined meter and counter accuracy, and it generally is within +/- 0.5%. The operator positions the bag in the neck holder with the cap positioned in the auto capper. The automated fill cycle is initiated when the operator presses the start/stop fill push button. The auto capper removes the cap, the fill valve elevator lowers the fill valve onto the bag spout, and the fill valve opens and the bag fills with product. When the counter reaches its pre-set value, the fill valve closes, and the fill valve elevator rises. As the elevator rises, nitrogen or other inert gas flows from the bottom of the fill valve and continues until the auto capper replaces the cap. The operator removes the filled bag, loads an empty bag, and repeats the fill cycle. The fill rate depends on the product's characteristics and operator dexterity; however, typically a single head filler has the machine cycle capability to fill approximately 16 one liter bags per minute. The Bag in Box machine in this video shows a semi-automatic filler converted into a fully-automated system, which makes it the ideal machine for future upgrades. The technology in our high-speed bag fillers clearly sets us apart from the competition. Our fill valves are proven reliable and repeatable. We utilize a variety of metering approaches including magnetic, turbine, mass flow, or servo-driven positive displacement pumps to deliver the value and performance. Our smart control systems can include programs for accurate filling, maximizing product yield, rapid product changes, trending, rapid troubleshooting, and operator training. Our capabilities include CE marking and UL listed panels, electronics for hazardous locations, drip free filling, customized operator interface with menu-driven product changes, support for clean-in-place systems, and production monitoring with interface to ERP and other systems. Click here for more information on high-speed fillers. Fill up to 6 bags/min.